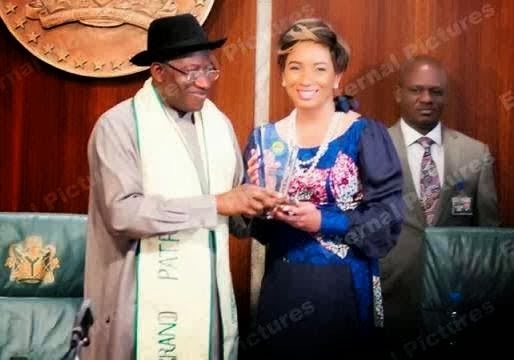 Actors Guild of Nigeria President, Ibinabo Fiberesima has been appointed by President Jonathan into the board of the National Council For Arts and Culture, NCAC. The AGN president who led a team of eighty delegates to Aso rock for a courtesy visit to President Jonathan , making him their grand patron was blown out of the water to hear of her appointment by Goodluck Jonathan "I was shocked to hear of my appointment to that board by Mr. President. I was just doing my thing as the leader of the actors in Nigeria and didn’t know that some people are watching. This is unbelievable,” The AGN President said. Ibinabo was sworn into the board yesterday along side other board members. The President also donated a plot of land for the erection of AGN Headquarters in Abuja.